Barie Al-Masri is a qualified teacher of English and Economy with several years of teaching experience in various fields. 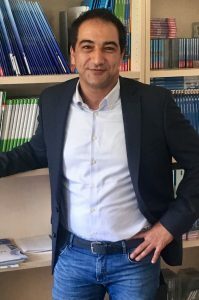 He received his Master degree in American Studies, English Literature and Business Administration from Saarland University and successfully completed his teacher training with the second state examination. For two years he was lecturer of German as a Foreign Language in a bilateral education project abroad funded by the Federal Ministry of Education and Research BMBF and the German Academic Exchange Services DAAD. Moreover, he has taught English and German communication courses for exchange students at the Department of International Affairs at the University of Applied Sciences. He has been lecturer, tutor and research associate for EFL at the University of Mainz for several years.